Whether you love to visit or found the perfect place to make your home, New York City is a magical world where dreams seem to shimmer into reality. It is no wonder that many people who enjoy the spell it has cast can’t get enough of their favorite parts of the city. If you or someone close to you want to carry a piece of the city along at all times, custom New York art may be the perfect solution. New York City is filled with history. 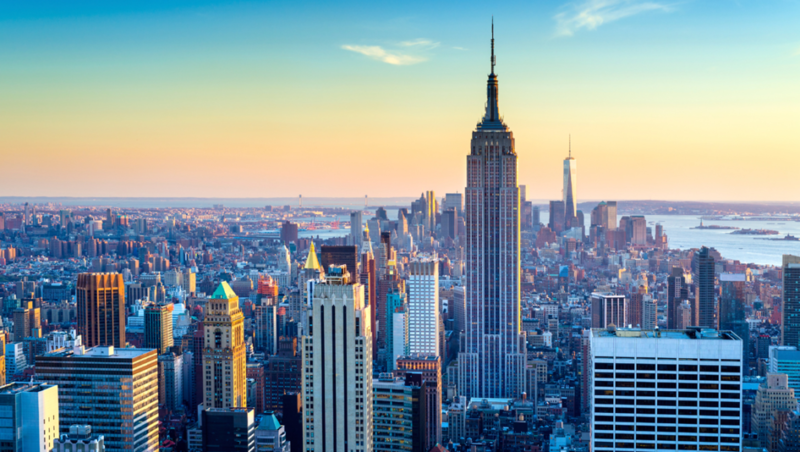 Some of the most famous buildings include the Empire State Building, Radio City Music Hall, and the Flatiron Building, which is a perennial Hollywood favorite. Ellis Island and the majestic Statue of Liberty are as much part of the heart of New York City as the diversity of cultures which they have come to represent. One World Trade Center has come to be seen as a monument to those lost when the city was attacked as well as the unity and spirit the community showed when rebuilding. Some of the most breathtaking historical locations in the city are houses of worship. The Central Synagogue, Trinity Church, St. Paul’s Chapel, St. Patrick’s Cathedral, and Abyssinian Baptist Church all have stunning architectural details that are beloved by visitors of all faiths. Other iconic views of the city, such as the Brooklyn Bridge and the many famous scenic views found within the borders of Central Park, are great options for iPhone case art. There is more to the atmosphere of New York City than the buildings and bridges. There are many locations that have a vibe of their own that can be captured in specific iconic images. The Wall Street Bull is a large bronze sculpture that has come to symbolize the entire Financial District. The yellow cabs of New York are almost as notorious as the impossible traffic patterns and have come to symbolize the hustle and bustle of the city. Subway maps, signs, stations, and cars have all become part of the cultural identity of the city. The holidays in New York have their own special feel. The lighting of the Christmas tree backdrop at Rockefeller Center is a beloved tradition of locals and visitors alike. An image of the tree surrounded by ice skaters or the Christmas lights in Central Park are all evocative of the special character the city embodies around the holidays. Of course, the ball drop at Time’s Square is the final symbol of the festivities. As if the artistic nature of the buildings and monuments scattered throughout the city weren’t picturesque enough, New York is a treasure trove of art museums waiting to be explored. The Metropolitan Museum of Art, The Museum of Modern Art, the Solomon R. Guggenheim Museum, and the Whitney Museum of American Art have individual pieces that can be used to make a case or the buildings themselves can serve as a happy reminder of the art that lies within. If you love losing yourself in places like New York City, then wrapping your phone in representative art from that place is a great way to keep the feeling alive even when you are away from the hustle and bustle.